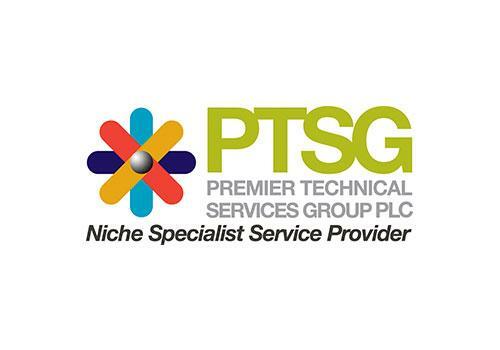 Premier Technical Services Group PLC (“PTSG” or the “Group”), the niche specialist services provider, announces its interim results for the six months ended 30 June 2018. Strong contract wins and renewal rate of 88%, including strong improvement in BEST’s renewal rate moving towards Group average. Interim dividend increased by 13% to 0.9p per share (H1 2017: 0.8p per share). UK Sprinklers Ltd acquired in September 2017, fully integrated into the Fire Solutions division with good contribution in H1. M&P Fire Protection Ltd acquired in July 2018 extends our geographical coverage, especially in London and the South East. “The first half of 2018 was a period of internal focus to integrate the three acquisitions made in 2017 into PTSG as well as a period of external communication and delivery to ensure that our customer base understood and reacted favourably to the new divisional structure that was implemented in 2017. Both objectives were successfully achieved and I am pleased to report continuing record levels of turnover, gross profit, adjusted EBITDA and adjusted earnings per share were achieved in the period. Our principal objective is to build a Group which is the UK’s leading provider of clearly identified niche specialist services to customers in the facilities management, construction and property sectors. Our focus on compliance to a demanding set of safety standards remains foremost in our thoughts and actions. We continue to see and develop further opportunities which can assist the Group to achieve its stated principal objectives and the pipeline of potential acquisitions remains both healthy and full. Premier Technical Services Group PLC is the UK’s leading provider of façade access and fall arrest equipment services, lightning protection and electrical testing, high-level cleaning and training solutions. Operating through four divisions, Access & Safety, Electrical Services, High Level Cleaning and Training Solutions, the Group provides highly-engineered industrial products and quality services and has a substantial presence in a number of niche markets. PTSG provides a central information service for its businesses and champions the dissemination of key information and best practice. PTSG unites its constituent businesses under one clear identity, which supports smarter working and delivers top class service to its customers. The first half of 2018 was a period of internal focus to integrate the three acquisitions made in 2017 into PTSG as well as a period of external communication and delivery to ensure that our customer base understood and reacted favourably to the new divisional structure that was implemented in 2017. Both objectives were successfully achieved and I am pleased to report continuing record levels of turnover, gross profit, adjusted EBITDA and adjusted earnings per share were achieved in the period. All three acquisitions made in 2017 have made a strong contribution within PTSG. The acquisitions of Nimbus Lightning Protection Ltd and Brook Edgley (Industrial Chimneys) Ltd (“BEST”) confirmed our position as market leader in the UK Lightning Protection sector. The acquisition of UK Sprinklers Ltd enhanced the capabilities of our recently created Fire Solutions Division and the growth in the size and scale of this particular business has been spectacular since its acquisition in September 2017. The successful integration of these 2017 acquisitions into PTSG enabled us to make a further acquisition on 5 July 2018 to further strengthen and extend the offering of our Fire Solutions Division. M & P Fire Protection Ltd which is based in Maidstone is a specialist in the installation and maintenance of sprinkler, dry and wet riser systems was acquired for a total consideration of up to £3.5m, comprising an initial cash payment of £1.0m with deferred cash payments of £2.5m payable over five years subject to the business achieving stretching and escalating milestone profitability targets in each of these periods. Turnover increased by 38% to £30.2m (H1 2017: £21.9m). Gross profit increased by 37% to £15.4m (H1 2017: £11.2m). Adjusted EBITDA increased by 36% to £6.9m (H1 2017: £5.1m). Underlying profit before taxation (before adjusting items of £4.3m) increased by 37% to £5.6m (H1 2017: £4.1m). Adjusted earnings per share increased by 30% to 5.03 pence (H1 2017: 3.86 pence). The Board has recommended an interim dividend of 0.9 pence which will be paid on 26 October 2018 to shareholders on the register at 5 October 2018. Net debt at 30 June 2018 was £11.8m (£18.3m at 31 December 2017) and benefitted from a £4.2m receipt in June from Mr R Teasdale, to cover the tax payments on his previously awarded share based payments, which was paid to the HMRC in early Q3. Excluding this, the underlying net debt would have been £16.0m, a £2.3m reduction from the year end, due to improved trading cash conversion which increased to 81% in the period. PTSG’s established operating model delivers sustainable high margins together with industry leading renewal rates. Results for H1 2018 show gross margins of 51% (H1 2017: 51%) and adjusted operating margins of 19.5% (H1 2017: 20%). Contract renewal rates in our core maintenance divisions were once again in excess of 88% during H1 2018 and the Group’s underlying organic revenue growth rate was 14 % during the period. The fastest organic growth rates are currently being experienced by our Fire Solutions Division. As an example, the turnover of UK Sprinklers Ltd for the 12 months prior to its acquisition in September 2017 was exceeded in the first 6 months of 2018 and its annualised operating profits have increased by just over 300%. This example of profitable growth is not simply the result of an operation finding itself in the right place at the right time; it is also the result of a positive application of PTSG’s operating model. The same successful result can be seen in BEST’s Testing and Inspection business; it had a 50% contract renewal rate at the time of its acquisition in September 2017 and had no 3/5 year contracts; the renewal rate for June 2018 was 85% and the number of 3/5 year contracts was 610. In addition, its operating margin had increased by 15%. The new divisional structure has been well received by our customers and the recently created national sales team has secured a number of significant new multi-disciplinary contract wins. The Chief Executive’s review provides further detail about operational performance and contract wins. 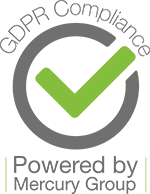 Our principal objective is to build a Group which is the UK’s leading provider of clearly identified niche specialist services to customers in the facilities management, construction and property sectors. Our focus on compliance to a demanding set of safety standards remains foremost in our thoughts and actions. We undertake acquisitions to seek sector dominance in the provision of those clearly identified services where our established operating model can be put to good effect. We continue to see and develop further opportunities which can assist the Group to achieve its stated principal objectives and the pipeline of potential acquisitions remains both healthy and full. The Group is now at a stage where further acquisitions will seek to increase the relative percentage of compliance related turnover since gross margins on this type of work are higher and more sustainable than in installation related activity and provides better visibility of revenues; the Group’s infrastructure is well enough developed to take on further opportunities in the compliance area. We remain both confident about continuing the positive revenue and profit momentum which is evident in the Group’s results for the first six months of 2018 and also enthusiastic about our prospects for the future. Change is inevitable in business and those organisations that embrace change are far more likely to succeed. PTSG is evolving to remain at the cutting edge of market demands and as a result, business has never been better. Following the introduction of new businesses incorporating dry and wet risers and sprinklers in 2016 and 2017, our Fire Solutions division is already experiencing ever-greater demand – well beyond our initial forecasts. Testing and compliance are at the core of our service provision. This is true for the Group as a whole, but is perhaps most visible in Fire Solutions. It means delivering a consistently high level of workmanship to meet a rigorous set of demands. This is one of the ways in which we add value for our clients, giving them reassurance that the work we do not only keeps their buildings legally safe, but is of the highest possible standard. An interesting development within facilities management this year has been the passing of a resolution to change the name of the British Institute of Facilities Management to the Institute of Workplace and Facilities Management. PTSG has always been a supporter of forward-thinking industry bodies such as BIFM, and was fully on board with this development. The name change signifies a culture change in the industry, giving greater emphasis to the term ‘workplace’. This wholly resonates with PTSG; whilst we understand that the workplace varies widely from organisation to organisation and sector to sector, our specialists uphold the same high standards in the different sectors within the facilities management industry. It is a fact that since the Grenfell Tower tragedy in 2017, awareness of accountability for ensuring buildings are compliant and users remain safe has heightened. Compliance is a legal requirement where fire risk in buildings is involved. However, meeting the latest regulations shouldn’t be the sole motivation for building owners and managers in safeguarding their assets. The safety and wellbeing of all building users, including engineers performing any kind of work, should always be a priority. It’s how we at PTSG work. Indeed, since day one we have worked to the principle: “If it can’t be done safely, we won’t do it”. PTSG’s Fire Solutions division is currently testing systems within Grenfell Tower. With new regulations for fire safety and a heightened awareness throughout the industry for implementing safe practices, it has never been more important to adhere to our safety principle. Our recent acquisition of M&P Fire Protection Ltd. signals the Group’s intention to further expand our Fire Solutions division. When growth in our dry risers and sprinklers businesses reaches a level that meets our expectation, we aim to add addressable fire systems to our portfolio. This will see Fire Solutions offering a truly comprehensive range of services to enable buildings of all kinds, in all sectors to be as safe and compliant as possible. Even though Fire Solutions is the newest of the PTSG’s divisions, it is already showing incredibly strong signs of success. Our move into this important area of work began with the acquisition of UK Dry Risers Ltd. (UKDR) and UK Dry Risers Maintenance Ltd. (UKDRM), specialists in the installation, maintenance and testing of dry and wet riser systems. After just six months of integration into the Group, UKDRM had grown by an incredible 37% which was largely attributable to its successful integration into the Premier Technical Services Group of companies. Turnover growth since acquisition now stands at 102% with operating profit growth at 399% within the first 24 months. Integration is a fundamental part of the acquisition process. It enables all new members of staff to become fully aligned with our methods and practices – which are proven to be highly successful. It enables them to continue to use their vital industry skills to their full potential – and crucially, that they are satisfied working within their new parent company. The integration of BEST into our Electrical Services business in July 2017 is another good example. Due to the way in which we overlay PTSG’s policies and procedures, we have seen a 15% margin improvement in that business in our first 12 months together. Renewal rates have increased from 50% to 85% and we have secured 610 additional 3-5 year contracts in the last year. I must mention Clarity – our proprietary software system – and its increasingly important role in the integration process. The system has now been rolled out across the majority of our compliance business and it is making a big difference to the way in which we work. Clarity enables everyone at PTSG, including office-based administrative staff, business development managers and on-site engineers, to do their jobs safely and far more efficiently than ever before. UK Sprinklers was acquired in September 2017 and integrated into the Group in the months that followed. The turnover for UK Sprinklers prior to acquisition was just over £3m; the expected turnover this year is £6-£8m. Current turnover growth since acquisition is 101% with operating profit growth at 318% within the first 12 months. With a strong pipeline of potential acquisitions, the Group is set to continue its progression. Each of our divisions has contributed to the exceptional performance of PTSG in the first half of 2018, thanks to our unique operating model and our teams of highly trained experts. Safety Testing and Installation, Cradle Maintenance and Installation. As the UK’s leading supplier of fall arrest systems and safety testing services, we achieved a turnover of £7.9m in H1 2018 (2017 H1: £9.1m) – a 26% contribution to the turnover of the Group. Adjusted operating profits were £1.3m from £1.5m in 2017, with decline resulting from the strong comparative performance from the lumpy Cradle Installs business in H1 2017. The safety testing and safety installation business continued to grow showing increases of 9% and 24% respectively. Lightning Protection, Fixed Wire and PAT Testing, (design, install and maintenance). We achieved a turnover of £13.4m in H1 2018 (2017 H1: £7.4m) – a 44% contribution to the turnover of the Group. Adjusted operating profits increased from £1.7m in 2017 to £2.8m. We saw good growth across all services, the acquisitions of BEST and Nimbus showed good progress coupled with strong organic growth. Steeplejack Services, High Level Installations, High Level Remedials, High Level Cleaning. Our products and services enable safe, efficient access to any part of any building. Our team members are experts at working at height and performing a high-quality service even in the most inaccessible locations. We employ some of the UK’s most talented and safety-conscious working at height specialists in the UK. In H1 2018 we achieved a turnover of £2.7m (2017 H1: £3.0m) – a 9% contribution to the turnover of the Group. Adjusted operating profit was £0.6m (2017: £0.7m). Wet and Dry Risers, Sprinkler Systems, Fire Alarms, Emergency Lighting, Fire Extinguishers (design, install and maintenance). We now offer one of the UK’s most comprehensive fire solutions services delivering high quality, safety systems in both residential and commercial settings. Turnover increased from £2.5m in H1 2017 to £6.2m in H1 2018 representing 21% of turnover. Adjusted operating profits increased from £0.6m in 2017 to £1.3m in 2018. The increase was a mixture of strong organic growth across all areas of the division, together with the excellent performance of UK Sprinklers which was acquired in September 2017. Naturally, anyone looking to work with PTSG, whether as a customer, a shareholder or an employee, wants to be reassured that our success up until now will continue. PTSG offers the best guarantee of the Group’s sustainability for the future, based on a number of factors. PTSG’s operating model is built around the twin drivers of organic and acquisitive growth, augmented by the demands of the marketplace. It is an efficient, unique operating model, designed to achieve long-term sustainable profitability. An important part of this is ensuring that the utilisation of engineers is maximised, coupled with efficiency in planning in our back office functions. Our approach in this respect has been further enhanced since we implemented our new, proprietary software system, Clarity. Whilst we intend to continue with the operating model which has yielded so much success over the last 11 years, we remain agile and able to evolve to the changing demands of customers and legislation. That is what has happened when the industry called for a more robust approach to fire safety. As a consequence of the need for all building owners or managers to take a significant step up in safety, our Fire Solutions division was formed and has been a strong success over the last two years. Our three other divisions also continue to grow apace and I am pleased with the performance of our well-established, highly trained and professional teams who deliver consistently well in these important areas of our operations. Cross-selling is something that has differentiated PTSG within the marketplace. Our ability to offer a bundled service provision is key in saving our clients the time, cost and complication of finding multiple service providers. We have strong relationships with our customers, which has seen us achieve a contract renewal rate of 88 per cent, which is why they are often happy for us to extend our provision to include other niche specialist services. Our newly formed sales team, established in 2017, is already performing strongly and adding value. With £4m in new sales in 2017, they are on target to achieve in excess of £8m in 2018. An impressive endorsement of the sustainability of our operating model came on 24th June this year. Joanne Hart, the “shares guru with the golden touch”, reviewed the Group from a financial perspective in her Midas column in the Mail on Sunday, tipping it to grow on the success it has already achieved. The article recommends PTSG shares as a strong addition to investors’ portfolios, focusing on the fact that the Group often carries out work that is mandatory by law, providing valuable assistance both with installations and maintenance, and holding contracts that last for several years. It neatly summarises what PTSG does, which has been at the root of our success since 2007. Compliance and testing remain at the very core of our provision for customers going into the future, ensuring buildings perform safely and well for all who use them. I hope you will join me in looking forward to the year-end results, confident of another record-breaking set of figures for PTSG. In the meantime, the results highlighted in this interim report should give confidence to current and future investors alike. * Includes £4,237,047 receipt from Mr R Teasdale to cover the tax payments on his previously awarded share based payment (30 June 2017: £nil, 31 December 2017 £nil). Premier Technical Services Group plc (the “Company”) is a company incorporated in England and Wales and domiciled in the UK. The address of the registered office is: 13 Flemming Court, Whistler Drive, Castleford, WF10 5HW (registered company number is 06005074). The Company and its subsidiaries (together referred to as the “Group”) is a niche specialist service provider whose principal activities are the maintenance, inspection, testing, repair and installation of permanent façade access equipment, fall arrest systems and lightning protection systems together with fixed wire and portable appliance testing and high-level cleaning and fire solutions. The interim financial information for the six month period ended 30 June 2018 has not been audited and does not constitute statutory accounts within the meaning of section 434 of the Companies Act 2006. The interim financial information for the period ended 30 June 2017 is also unaudited. The comparative figures for the year ended 31 December 2017 do not constitute full financial statements and have been abridged from the full accounts for the year ended on that date, on which the auditors gave an unqualified report. This unaudited consolidated interim financial information (“interim financial information”) has been prepared on a going concern basis under the historical cost convention and is in accordance with AIM Rule 18 in relation to half year reports. After making appropriate enquiries, the directors have a reasonable expectation that the Group has adequate resources to continue in operational existence for the foreseeable future. For these reasons they continue to adopt the going concern basis in preparing the interim financial information. In preparing the unaudited Interim Financial Information, the significant accounting policies, critical accounting estimates and judgements, and financial risk management disclosures, are the same as those set out in the 2017 Annual Report and Accounts. Management has determined the operating segments based on the operating reports reviewed by the Board of Directors that are used to assess both performance and strategic decisions. Management has identified that the Board of Directors is the chief operating decision maker in accordance with the requirements of IFRS 8 “Operating segments”. The Board of Directors considers the business to be split into four main types of business generating revenue; Access and Safety, Electrical Services, Building Access Specialists and Fire Solutions. Following significant growth in the safe access/steeplejack and fire services sectors, two divisions were renamed, Building Access Specialists formerly High Level Cleaning and Fire Solutions formerly Training Solutions, with certain service lines moving divisions to better reflect how the Group operates and is managed. The prior year figures have been restated. The calculation of basic earnings per share for the half year to 30 June 2018 was based on the profit attributable to ordinary shareholders of £1,114,071 (six months ended June 2017: £1,026,764; year ended 31 December 2017: £1,330,685) and a weighted average number of Ordinary Shares in issue of 104,923,666 (six months ended 30 June 2017: 89,505,162; year ended 31 December 2017: 96,809,578). The calculation of adjusted earnings per share for the half year to 30 June 2018 was based on the profit before adjusting items of £5,274,060 (six months ended 30 June 2017: £3,453,350; year ended 31 December 2017: £9,417,904) and a weighted average number of Ordinary Shares in issue of 104,923,666 (six months ended 30 June 2017: 89,505,162; year ended 31 December 2017: 96,809,578).